OTTAWA—Boxing is not an appropriate sport for children and teens, advise the Canadian Paediatric Society (CPS) and American Academy of Pediatrics (AAP), in a statement published today. Amateur boxers are at serious risk of face and brain injuries including concussion. 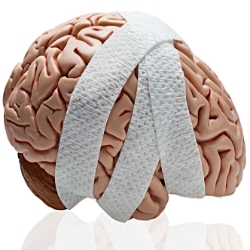 Children’s brains are more vulnerable to concussion, and recovery takes longer than for adults. Though amateur boxers wear safety gear, there is no evidence to show that head guards actually reduce the incidence of concussions. “While most sports have some risk of injury, boxing is especially dangerous because these athletes are rewarded for dedicated and deliberate hits to their opponent’s head,” said Dr. LeBlanc. Boxing Canada and USA Boxing do not keep statistics on the number of participants or injury rates of their members. However, the Canadian Hospitals Injury Reporting and Prevention Program database shows that among all combat sports, boxing led to the most hospital admissions between 1990 and 2007; of those admissions 58 per cent were for facial fractures and 25 per cent sustained closed head injuries, such as concussion. The CPS and AAP are calling on paediatricians and other health professionals to strongly discourage boxing participation among their patients and guide them toward alternative sport and recreational activities that do not encourage intentional head injuries such as swimming, tennis, basketball and volleyball. The Canadian Paediatric Society is a national advocacy association that promotes the health needs of children and youth. Founded in 1922, the CPS represents nearly 3,000 paediatricians, paediatric subspecialists and other child health professionals across Canada. For more information, visit http://www.cps.ca/.